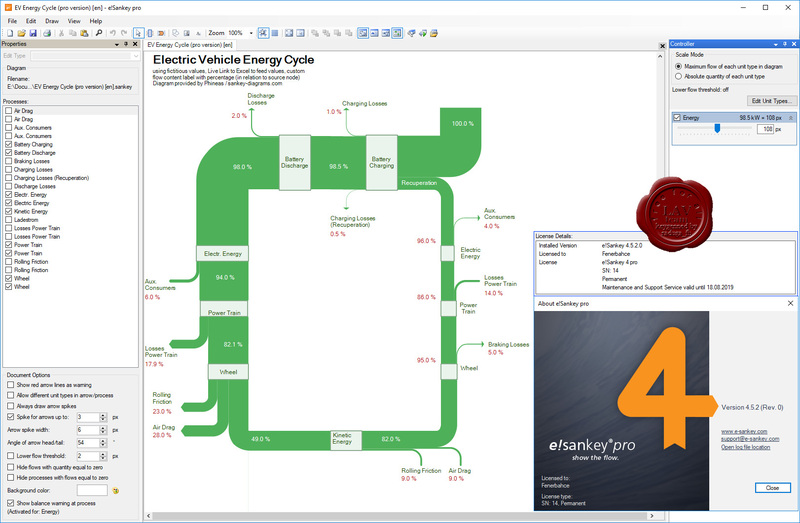 The software e!Sankey lets you create Sankey diagrams quickly and easily. No matter whether you wish to depict energy flows, material streams, or goods being transported along a supply chain: use e!Sankey to create convincing visualizations for your presentations, reports and publications. Sankey diagrams are a great way to visualize flows – e.g. energy, material, or cost flows. The width of each arrow in a Sankey diagram is proportional to the flow quantity, i.e. a flow with double the volume as another flow is shown with an arrow twice as wide. Sankey diagrams immediately draw the attention to the most important flows. They are gaining increasing importance in energy management, facility management, process engineering and in the area of resource efficient manufacturing. When visualizing costs along a supply chain or within a production plant, they can help to better understand value streams.